Do you or a loved one want relief from the discomfort that goes with Eczema? Do you have a rash that won’t go away? Is that red place on your arm getting worse? Does it itch and burn no matter how hard you wash it? If so, then you could have Eczema. Atopic Dermatitis is a pain! That’s what it is. 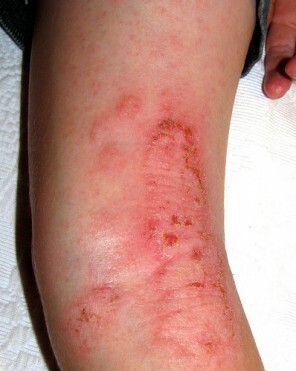 A form of dermatitis, or inflammation of the epidermis (the outer layer of the skin,) Eczema is associated with the following list of symptoms. The simple answer is, there is no known cause. There are many possibilities being explored, and in this series we will look at several of those hypotheses. With no known cause you might think it would be hard to cure. You would be right. 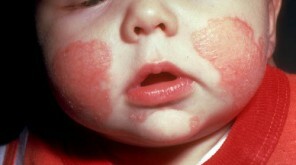 Many people have Eczema in one form or another, in varying degrees of seriousness. The fact is that you may have arrived at this site looking for help, and indeed relief, for yourself or a loved one. You are not alone. Research has shown that in certain populations around the world, as many as 42% experience Eczema symptoms. The amount of people treated for it, is another number all together. So, if you’re one of the ones who has come looking for answers and proactive steps to solve the problem of Eczema, read on. I want to encourage you to leave a comment or question in the Comments Sections of these pages. You might find you’re not alone in your desperation to rid yourself of the symptoms that keep haunting you. If you’re wondering about it, then it’s highly likely that others are too. So get into these articles, and see if you can find what you need. 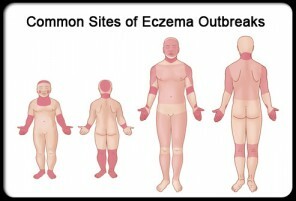 If not, leave a question, together we’ll find the answer; answers about Eczema.